For many children from my generation, some of the best games ever made were when we were growing up. Today, you can buy games that take over one hundred hours to complete, come with multiple DLCs, and cost anywhere from £60 to £120, but for many of us, the arcade side-scrollers were the best of times. I like to think that the atmosphere of the amusement arcades had something to do with it. There was always a kind of buzz in there when you went in with a pocket full of change to spend on one of the machines, either alone or with some friends. It was you, either alone or with a friend, against the game of your choice and the goal was not always just to complete it, but to see how far you could get in the game. Because, compared to a lot of games released today, nearly all arcade games presented a real challenge. The games were not easy either. There was no way to change the difficulty settings, some (Sun Set Riders) were one hit kills, you had one or a small number of lives and no continues, but they were still so much fun. Game length was another interesting factor with Arcade games. Some playthroughs using emulators posted on YouTube show that some of these games could be completed in around an hour. Using today’s gaming standard, that would be a crime, but the fun level often outweighed this. I have never heard of anyone I knew complaining about how short these games were, only how fun or how much of a challenge they presented. Of course, the fun factor is what really makes these games so memorable. Beating the boss, even the last boss, in an Arcade game with next to no life left and no continues is a familiar triumph story I grew up with. It was the same with games like Street Fighter 2 and Mortal Kombat, but it always felt different to me with side-scrollers. You had to fight through hundreds of minions to get there, evade some kind of event (the bulls in Sun Set Riders), and probably a few traps within the scenery. It can certainly be argued that there were a lot of Arcade games like that out there and perhaps they were cookie cutter copies of each other, but with different characters and settings. But regardless of this, the fun factor was always there, unlike a lot of modern games I played. There was no grinding, no fetch quests, and certainly no multiple side quests. The challenge was to get from A to B, beat the boss and continue. What is sad about these games is that around ninety-five percent of them never made it to home computers or consoles. Why is a difficult one to explain. I suspect legal rights and money play equally large parts in the equation. Aliens Vs Predator, probably the most well-known Arcade classic to be in this scenario, has three different companies owning rights with the game franchises. Fox (now bloody Disney), Sega, and Capcom all have rights in that game which I have heard described as mixed up like a ball of string, so nothing was ever worked out for a home release. The Teenage Mutant Ninja Turtles Arcade game was later ported to Nintendo and home computer after a year and two years respectively but in quite different forms. The original arcade version was eventually ported to Xbox Live Arcade in 2007, eighteen years later. The Simpsons Arcade shared a similar story. Ported to home computer (just the Commodore 64) in the same year of release, 1991 (again, in a much different form), it was then released on Xbox Live Arcade and Playstation Network in 2012. Twenty-one years later. However, the game was taken down from the PSN with no reason given by either Sony or Konami. 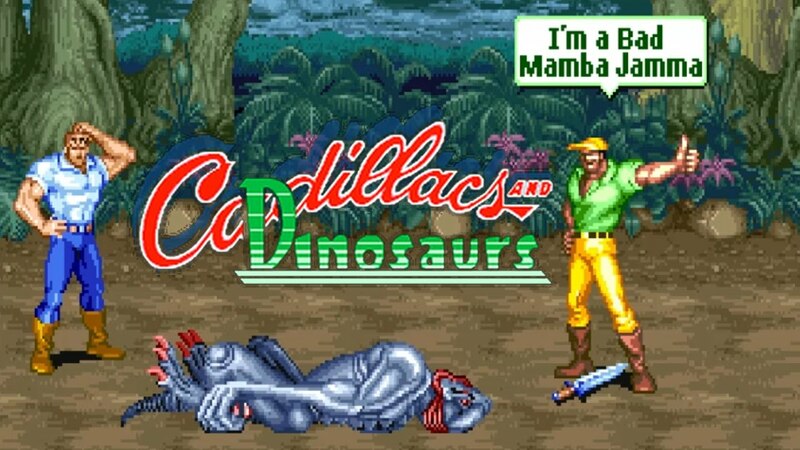 Perhaps one of the sadder examples out of all these arcade game fates was Cadillacs and Dinosaurs. Based on the short-lived comic, Xenozoic Tales, it became very popular and spawned a cartoon series which was also short-lived. The game was unique because the dinosaurs featured in the game were not on anyone’s side and could attack either player or enemy during the levels. It really did throw an element of uncertainty into the game when they appeared on screen. It also added a sadness element because not only did it never make it to home computing but the series, in general, slipped into memory. Now it is kept alive by emulation, eBay sales, and fond reminiscence. Money, as mentioned, is the other factor at play here. A credit on a typical Arcade machine usually cost 50p, £1 for two credits and so on. Why would any game company want to port a game to a home computer when they could potentially lose money? Better to keep the kids coming to the arcades to put their spare change in the machines and then into the company’s accounts. 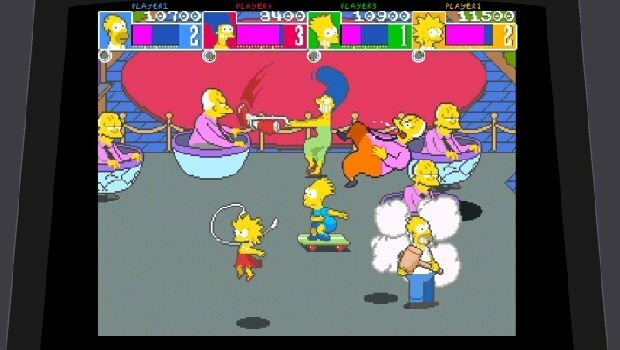 The continuing evolution of home gaming, from PCs to consoles, also helped put a nail in the coffins of future arcade releases. Why develop a new game for arcades when people would be at home gaming with the latest release, either alone or online with friends? The technology was always going to progress at some point, leaving the arcade machines in the dust as it did. Today, these games are unavailable to everyone unless they are emulated. Now, it does need to be pointed out here that emulating games is classed as illegal because, technically, it is stealing. With that legal bit out of the way, there are those, like myself, who really don’t care about that. Currently, I have a Rasberry Pi computer loaded with SNES and Megadrive games I play when I feel like it. Soon I will be upgrading to a better version that contains all the arcade games ever released because I want to play them again and relive my childhood. Feel free to call me a thief or whatever takes your fancy. As far as I’m concerned, I pumped enough money into those machines as a child to earn me a free copy of these games and enjoy them at home as I approach my forties. These games will always hold my most cherished memories, more so than any modern AAA game release, and not just because of their content. 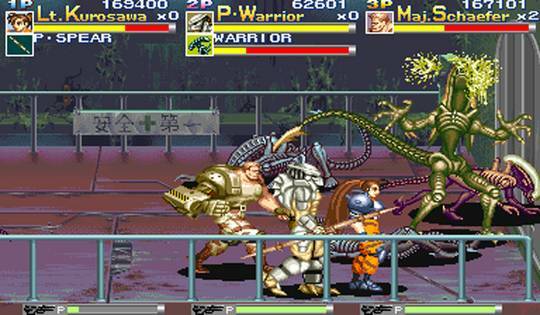 They will always take me back to being a child again, pumping coins into the arcade machine so I can get to that damn boss and beat him. Consoles like the SNES and Megadrive had games for them that were almost like being in an arcade, like Cybernator, but nothing ever came close to what those machines had to offer and never will. As for the arcades themselves, they are well and truly a thing of the past. Granted, you may find them dotted around here and there, usually near beaches and holiday parks, but modern technology really did put an end to them. It remains sad that most children growing up now will not have any idea what they are unless their parents tell them stories of gaming in the past. Since gaming is moving into troubling times, with the constant console releases and the increasing presence of microtransactions and DLC, it is often nice to look back on what some would perceive as the better times. Times when the best new release was not on console or PC, it was down the local arcade, waiting for you and your pocket full of change. Next ArticleThat's Not A Knife... It's A Documentary! 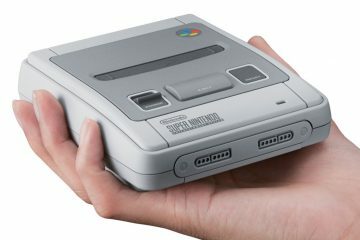 URBAN GAMPLAY: THE SNES CLASSIC MINI IS GOING, GOING, GONE! 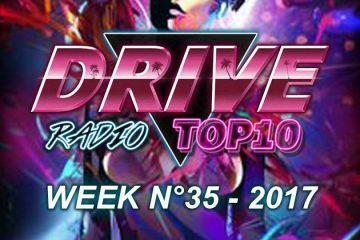 THE DRIVE RADIO TOP 10 IS HERE TO TAKE THE LABOR OUT OF YOUR LABOR DAY, AMERICA!